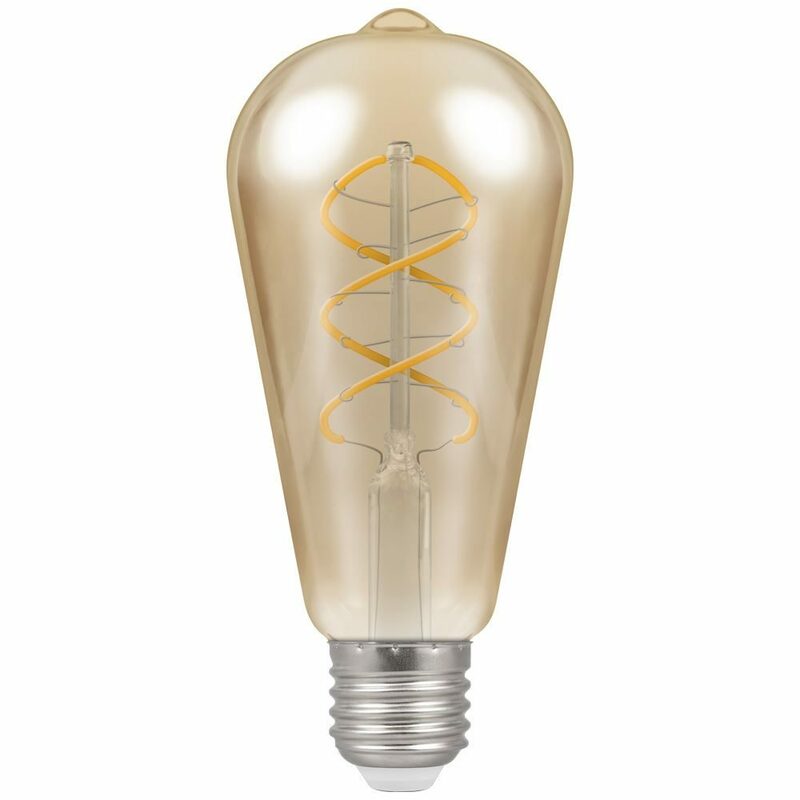 Dimmable LED spiral filament ST64 squirrel cage lamp with antique-bronze finish. 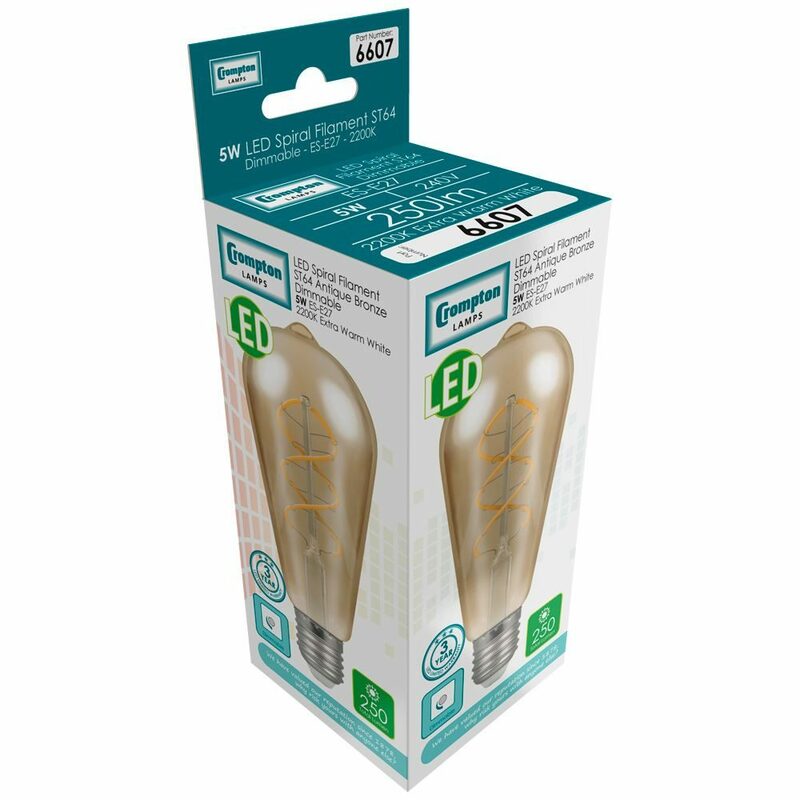 Energy saving extra warm white LED replacement lamp featuring LED spiral filament technology. Antique bronzed coloured glass to closely resemble the look and feel of a traditional spiral filament incandescent lamp. LED filament technology, LED spiral filaments FPC (flexible printed circuit) series filament arrangement, allowing true omni-directional light output. The lamp is compatible with most dimmer switches, please refer to website for up-to-date list of compatible dimmer switches.